What is VORA - To understand VORA first we have to understand HADOOP and SPARK. 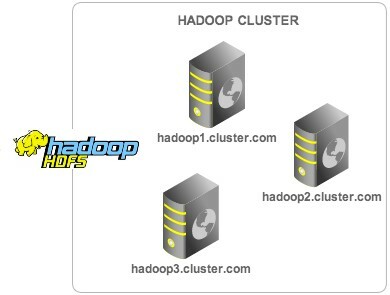 HADOOP supports High Availability by providing auto failover feature. (I.e. if anyone node goes down other backup node will take up automatically). 3rd - To process the Data in In- Memory and to have an interactive interface to Model data and process it we need a software called as VORA. Modeler - could be used to create SQL views, Dimensions or Cubes. 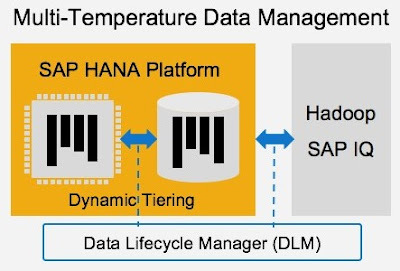 And also If user wants to archive older data in HANA and move it to HADOOP and combine with other HADOOP data then that can also be achieved seamlessly using HANA Data Warehouse foundation Tool – DLM which uses VORA Connector. 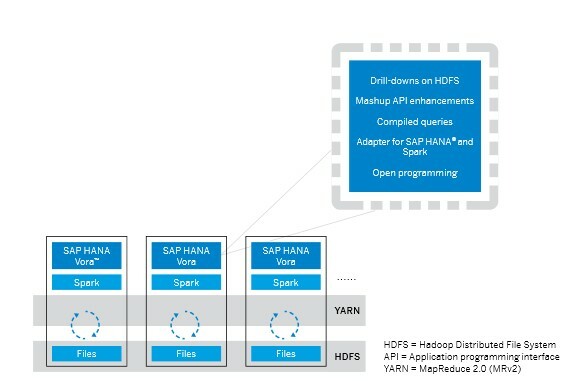 In this case the archived data can be queried from HANA side or from HADOOP side as user wish.